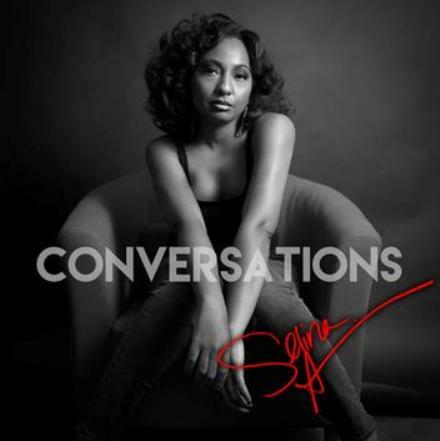 Selina Albright | Conversations - TheUrbanMusicScene.com | Music Reviews! The term born to sing may be an overused term in some instances. Yet when describing Selina Albright‘s vocal gifts, her career was already etched in stone as a two year old who actually sang on key. Never mind that this undeniable talent father is the highly respected jazzman Gerald Albright. Certainly Albright would pay her musical dues for over a decade while exercising her powerful, articulate range as a lead and background vocalist for her father, Peter White, Brian Culbertson and other contemporary jazz veterans. Success greeted her immediately once she hit the solo career with the funky mid-tempo “You and I” in 2010 that was an I-Tunes jazz sensation, followed by the 2013 E.P. Brighter, which placed several weeks on the U.K. Soul Charts. Beyond the smooth, Albright is extremely comfortable in electronic dance teaming with Manufactured Superstars on “Serious”, soaking the blues for one of Billie Holiday’s top charting hits, “Lover Man” or injecting R&B diva power echoing influences such as Beyonce and Jill Scott. On her debut full-length, Conversations, Albright channels her R&B side that shares her heart on both sleeves. Backed by production from James Roberson and Chris ‘Big Dog’ Davis, Albright’s flexible pipes and songwriting unquestionably steals the spotlight. The opening “Eat Something” presents a fascinating story of a woman who is sexually attractive despite her body weight: “Them collard greens/That corn bread/And that rice and beans/Cause your love makes me wanna’ eat something.” Kay-Ta Matsano adds a rich backdrop of acoustic and electric guitars. David P. Stevens’ guitars gently accompany Albright for “Wifey Anthem,” illustrating a woman’s dedication for her spouse despite his daily toils: ‘Cause I’m here to build you up/Don’t let everyone’s problems/Take that beautiful smile from ya’.” Still another song of unconditional acceptance, “Possible,” is surrounded by layers of Albright’s background voices. Once again, Albright incorporates a sea of shimmering guitars, this time from Geno Finley, for “Talk to Her,” passing on advice of finding someone that is romantically compatible. Backed by a thumping slow grinding hip-hop flavored rhythm track, “Search My Name” is an emphatic autobiographical calling card tracking Albright’s musical accomplishments: “I don’t fit into a category/I’m just me/Started out in jazz/Did a little EDM/And now I’m R&B… Who knows what you gon’ get next.” Willing to take risks on Conversations, in the case of Beyonce’s, “If I Were A Boy,” Albright scores with a pleasing unplugged jazz perspective, backed by acoustic guitarist White and saxophonist Randy Ellis. Gerald Albright provides a brief but effective flute solo for “Let Go,” a song of empowerment about letting go of the past to proceed with the future. “Uncharted Love” closes out with Davis’ engaging arrangements anchored by a kalimba and a sweet percussive pad. Overall, Selina Albright vocally impresses on all levels for Conversations, even though there is so much more in her musical arsenal she can share when she heads to the studio again. Four and a half stars out of five. One Response to "Selina Albright | Conversations"
You are a gem! Thank you so much for this well-written, thoughtful review and rating. I shared this with my team of musical geniuses, and we are all very excited that you love it so much. May everyone who reads this review have the same experience you did, and may they connect with the new album so much that it changes their perspectives for the better!